A seafarer's dream, Devonport in Australia’s southern state of Tasmania will have you gazing at cruise ships in the harbour, wandering along beautiful beaches, admiring historical buildings, and enjoying fine dining on the waterfront. Nautical culture is everywhere you turn in this coastal city, ready to captivate you with its charms. By hiring a car, you can truly experience everything this region has to offer. Known as the ‘Gateway to Tasmania’, this port town can get quite busy, with people arriving by plane, bus, and ferry. As the city itself is very concentrated, the central hub may feel busier on the road than it actually is. There is an off-street cycle way which follows the coastline, so be mindful of cyclists crossing roads in the area. Pedestrians are also out and about, so it pays to stay alert and remember to share the road. Devonport Airport is located 7km away from the CBD, just a 15-minute drive in your hired car. There are rental car pick up kiosks stationed at the airport or alternatively, jump in a shuttle or a taxi to pick up your car hire in town. ● Motorists drive on the left in Australia. ● The speed limit is 50km/h in urban areas, and up to 100km/h on highways and in the countryside. ● Roads in Tasmania can be longer than they appear on the map, as well as narrow and windy. Allow extra time in your itinerary to get from point A to B.
Devonport Airport offers short and long term parking, ranging from $3 to $60 depending on length of stay. Both options are short walks from the terminal. There are 9 council run car parking zones in Devonport, which start at $1.60 an hour. There are also parking meters along central streets with a 1-hour limit. Always check designated signs and time restrictions when you park your rental car in Devonport. Check another item off your holiday to-do list by pre-booking a rental car with Airport Rentals. We work with a wide range of companies to find you the best deals, and with well known brands such as Avis, Thrifty, Budget, Hertz and Europcar, you’ll have plenty to choose from. Touch down in Devonport Airport’s freshly refurbished terminal and take a moment to get acclimated. Enjoy a light meal at the cafe while logging in to complimentary WiFi. Pick up your keys from the car rental kiosks in the arrivals area, and begin your Tasmanian adventure. Being a popular spot for travellers, Devonport has a great range of accommodation options to suit every budget. For a luxurious stay, visit Beachway or Quality Hotel Gateway, both have beautiful rooms and a relaxing atmosphere. If a Bed and Breakfast is more your style, The Grand On Macfie is an absolutely stunning heritage building in the heart of the city. Sticking to a budget? Check in to the Edgewater or Barclay Motor Inn. 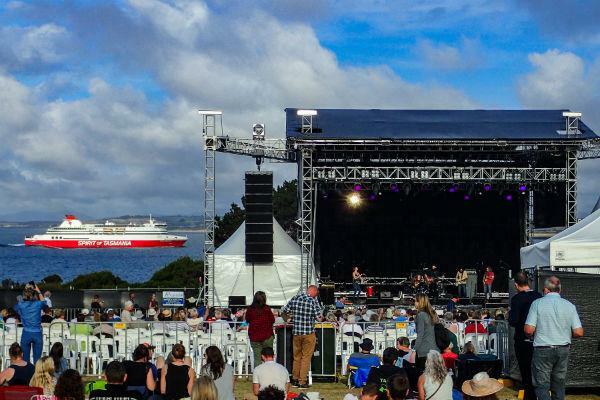 ● In late July each year, the Devonport Jazz festival is scheduled across 4 days with a variety of events and performances. ● Taste the Harvest Festival happens annually in late February/early March, and the streets come to life with food stalls and marquees. ● Another festival for foodies is the Devonport Food & Wine Festival, held in October. With a range of options for every appetite, Devonport is full of scrumptious food joints. For delicious beef, chicken, fish and vegetarian meals, Burger Got Soul is a fantastic place next to the Entertainment & Convention Centre. Enjoy a chilled out meal with a view of the sea at Drift Cafe Restaurant, or indulge in homemade pies and cakes at Stonies Fifties Café. Perched on the mouth of the Mersey River in northern Tasmania, Devonport has a population of around 30,000, with many coming and going daily from this port city. While Devonport is the third-largest city in Tasmania, it’s considered small on the broader Australian scale. Sport, art and history are all prominent features of the relaxed Devonport culture, and you’ll be exposed to it all when you visit. 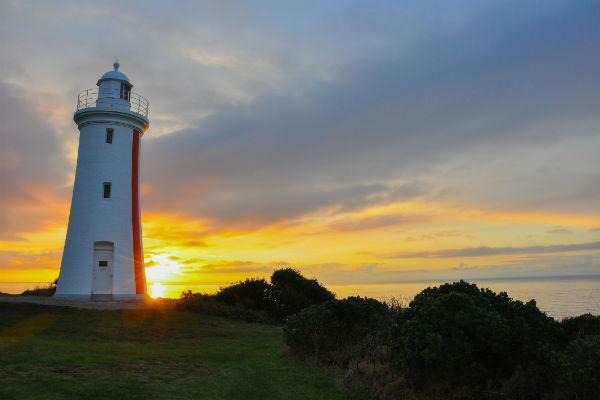 You’ll have plenty to keep you busy when you hire a car in Devonport and set out to explore. ● Tiagarra Aboriginal Culture Centre and Museum have beautiful displays of Aboriginal history. ● Devonport Regional Gallery hold annual exhibitions and educational programmes all year round. 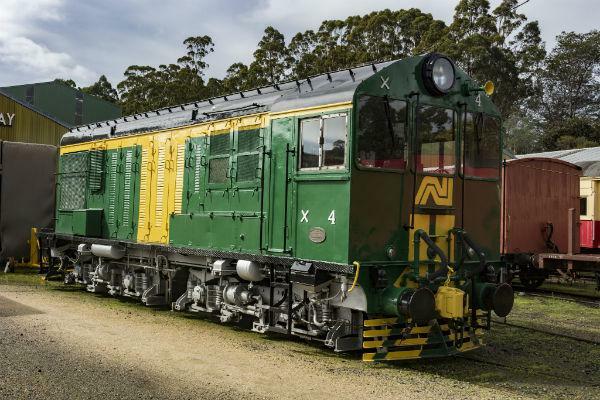 ● Kids will love the Don River Railway steam train that runs along the coast. ● The town of Launceston is only an hour's drive away, and is a beautiful day trip. ● For boat lovers, the Bass Strait Maritime Centre is a fascinating look into the history of this nautical town. ● Wander the waterfront and head to the lighthouse at Mersey Bluff. In addition to regular flights between mainland Australia and the state capital of Hobart, the Devonport ferries, Spirit of Tasmania I and II, dock at Devonport and travel 11 hours over the Bass Strait to Melbourne each day. Devonport also has several bus companies which service the city: Mersey Link, Redline Coaches and Phoenix Coaches. With mild to warm summers and cool winters, the climate in Devonport is more moderate than mainland Australia. Like Hobart, average temperatures in the summer (December to February) average around 21 degrees Celsius, while the winter (June to August) temperature average drops down to 5 degrees Celsius.